Horses are one of the oldest companions of the human being throughout history. Horseback riding is a matter of courageous, enthusiasm and endurance building sports that everybody like. 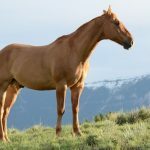 If you have the desire of horseback riding as a beginner, you may do several mistakes that may break your dream at the very outset. Horseback riding is very simple at the same time very tough if you are not physically and mentally prepared. The main criteria of horse riding are endurance and courage of rider. If you are going for the first time as the rider, the following tips will help you to develops the courage. At the same time, you will avoid the mistakes and become the best horse rider. Horses is very friendly and intelligent as like as other companion animals. Your horses are more conscious of you, and he will very well read your mind and physical ability. When you ride on a horse, it will assess your ability before you. 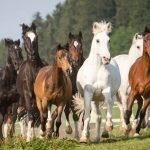 If a horse finds that you are not in the proper way, you can not control your horse. You will be the leader of your horse. Never let your to guide you rather you will guide your horse at the riding ground or trail. 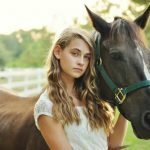 In my experience of 10 years horse rider and also as the instructor of Equitation School, I shall briefly describe the 20 most important points that will help you as the beginner on horseback riding. Before going to ride a horse these will help you a lot. 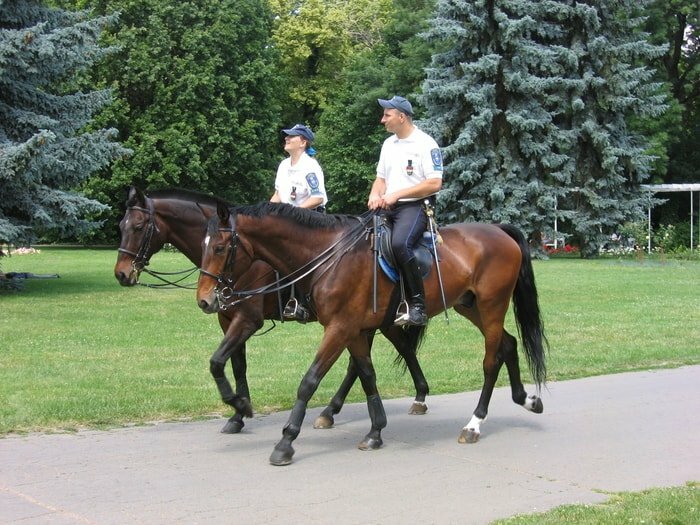 At the same time for a horse trainer, you must take the security points before teaching a new rider. The first sight at your horse is very important. You must be confident and courageous enough to approach your horse boldly. Look into the eyes of the horse and stand properly in front of your horse like a hero. 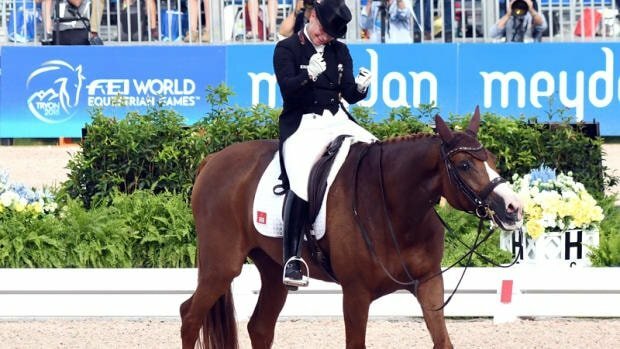 Your horse must consider you as a master, not the child or beginner. As a horse rider; you must have preliminary knowledge of the horse behavior and mental fitness. You are the beginner of horseback riding, and at the first look, you must assess the present condition. Never be afraid to approach your horse. For every case; you must wear the proper riding grat before go for horseback riding. 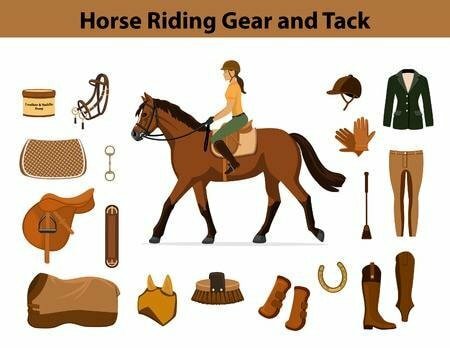 You must have the helmet or headgear, adequate size riding boots, breeches, whisp, gloves, and belts. Every riding gear should be properly fit to your body, and loose items should be avoided. 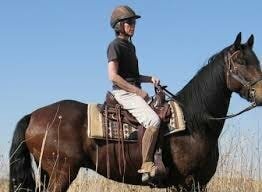 Adequate riding gear will give you confidence on horseback riding in every moment especially a beginner. 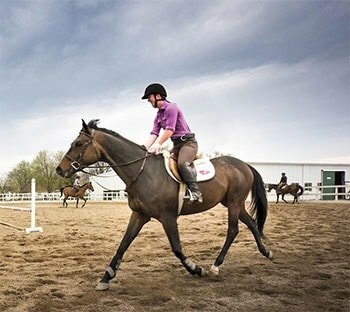 The first approach to your horse is very important as the beginner of horseback riding. The horse will assess your capability by the way you approach him, and the behavior of horses will depend on it. 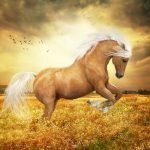 Make a step confidently to the horse, have a friendly look, make some friendly sounds with tongue, utter “hello boy” and praise him as your friend. These will help you to build a friendly relationship with your horse quickly, and he will accept you as a rider. Learn from your trainer how easily mount on horseback and what are the precautions you should take before the mount. The way your trainer taught you just follow the sequence as you are the beginner in horseback riding. Before mount know the behavior of the horse as it reacts after touching on the hip or loin of the horse. If your horse is felling irritation by such actions, please try to avoid and mount with the help of the trainer. 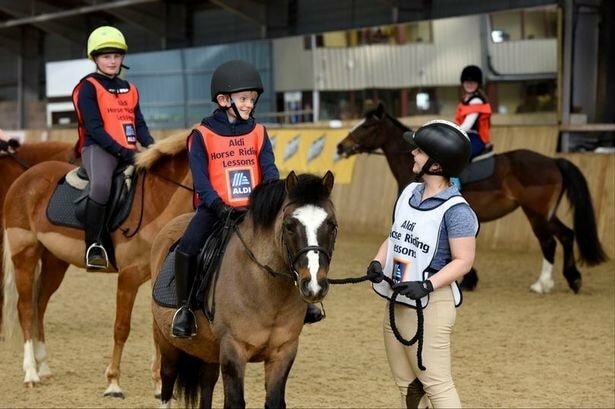 The trainer will teach you how to hold the reins and where to keep your hand’s position. You must hold rein by the way your trainer shows and never hold too tightly. In many movies, you may observe the jerking of reins by the rider. Never do the same thing in your case. This is absolutely wrong practice. You may observe many children holds the front arch of the saddle to maintain balance on horseback or from the height phobia. As a horseback rider never try to hold the saddle by hands. You must learn to control your horse by rein and gripping. If you tend to hold the saddle, it will make delay to attain balance on the horseback riding. After a proper sitting on horseback, you must look into the front and keeps your head straight. Before that, you must have looked the trail or riding ground and if possible be familiar with the area you are going for horse riding. There is a thumb rule, “heads up, looks front, straight back and proper grip” makes you confident rider. The fundamentals of horseback riding is making a good friendship with your horse. If your horse takes you as you his friend or well-wisher he never betrays with you. The way to make good friendship is taking care of your horse, goom it, pass the time during grazing, etc. You must learn how to hold rein properly by your horse trainer. The basic role is that you should hold the rein softly but in exact position. After holding rein, the position of your hand should be near the horse neck or body. The rigid holding of rein will stimulate the horse to do the unbecoming behavior. During the first horseback riding, many of you became nervous and held your breath for a long time. These will make you imbalance on the horse, and your horse will be understood that you are new in riding. Take a small breath and bring confidence to your mind that you can ride a horse as others are doing. 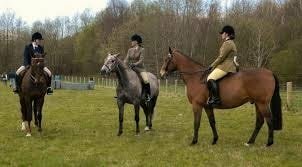 Many a time, as a new in the horseback riding you can not hold the rein properly, and your hand will keep apart from the body. It will look like that you are swimming on horseback and ultimately you will not control your horse. 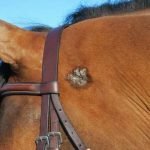 Keeping the hands near the neck and if possible, a small touch with the horse body will help you to control the horse properly. During the initial days of horseback riding, you will lose rein more, and that will slide the horse’s neck. 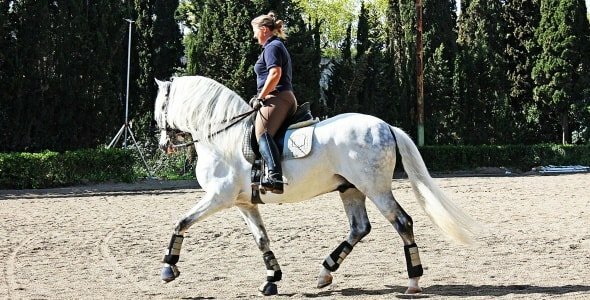 Your hands will fly from the original position, and you can not move your horse as your desire. As the speed of the horse increases the more closure of reins needed. Many new riders sitting on the horse saddle at the beginning as he sits on the chair. You place your knees up, heel up and toe down and keep your hip at the last portion of the saddle. 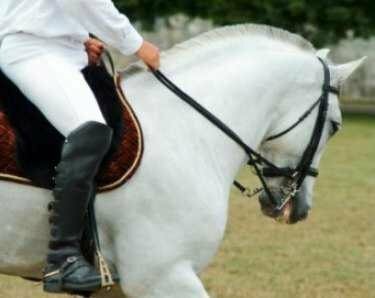 In this position, you can not make a proper grip with the thigh to the saddle. Make sure the proper alignment of your knee and legs with the horse body before start walk on horseback riding. 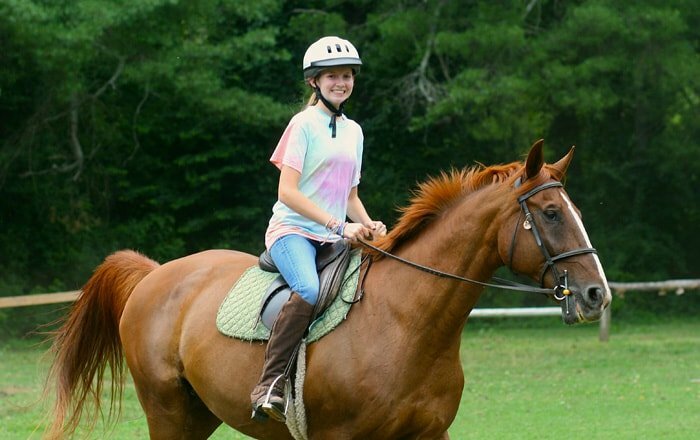 Some new horseback riders have the height phobia, and after sitting on the saddle, they become nervous or relax. The improper sitting on horseback will lose the thigh and knee, and you may fall down anytime( walk or trot). Sit on the horseback confidently and keeping your back straight. These will give you more comfort during horse riding. You rammed your feet to the stirrup, you will not get comfort during riding, and in some cases, it may be very dangerous. 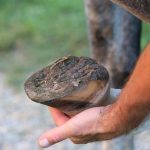 Before mount on horseback make sure that your stirrups are properly fixed. After mount, you must adjust your stirrups with the length of your legs and keeping the toe at resting position on the stirrup. After all wear proper riding boots before horseback riding. Many new riders try to stand on the stirrups and hold the front arch of the saddle. These will make you imbalance on horseback and, you may fall down without any notice. Keep your legs in proper position, make align with the horse body and heels with the horse belly. Make a strong grip with the knee and thigh and keep your toe just as resting position on the stirrups. Horseback riding is more about balance than gripping tightly. After mounting on horseback, free your legs from the rest of the body and sit relaxed mode. You keep your muscle active without tensed and have close contact with the saddle and knees. After sitting on the saddle make an imaginary straight line with the ear, shoulder, knee, and toe and adjust your position accordingly. 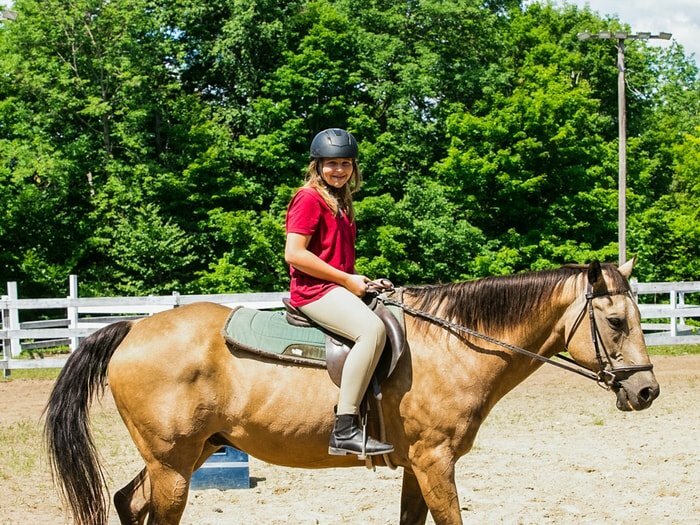 Many ner horseback rider sit on the saddle in fear and not gripping on the saddle properly. You must hold the rein in the proper way and at the same time have accurate gripping by the thigh and knees. The grip should be too tight to make you imbalance and too loose to make you fall on the ground. Now it is time to dismount from your horse after a successful and thrilling horseback riding. There are few rules of dismounting from the horse that must be taught by your trainer before the mount. After dismount adequately praises your horse by patting or uttering some friendly or encouraging words. 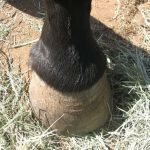 Take your horse for cooling down or paddock and ensure its care. 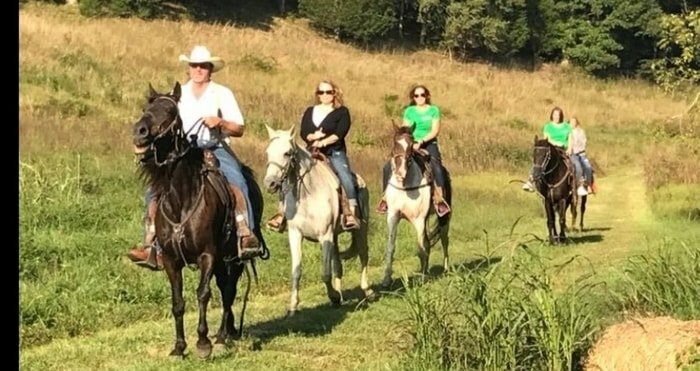 Horseback riding is both art and science and there are a lot of points you must consider as the beginner. But looking the long list of advice, don’t afraid. 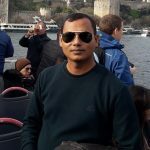 The sequential procedures are straightforward, and I have described in a deliberate manner and point form. If you read the above 20 points carefully maximum things, I have covered for you. 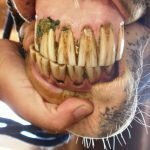 I think the above tips and advice I mentioned as a horse rider and vet, will definitely give you some bit of benefits. 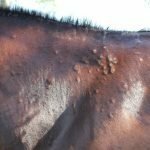 The pieces of information you must share to your trainer and friends who also want to horseback ride for the first time.